I am founder of Russian Tales of fan website called "Temple of Tales" (https://www.temple-tales.ru). Since 2014 I have changed the focus of website, and now you can see us mentioned as "Temple of Tales Translations". 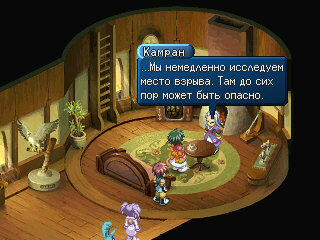 We'd begun to specialise in Tales of games translations to Russian. I have recieved many messages via email asking to help with different "Tales of" translations, as well as to share the software. I was suprised to see that people who asked me were from different countries. And in the end I've decided to openly publish everything. I'm sure it'll help many to start and complete their projects, or maybe just have fun looking through the resources. Of course, I will not upload everything at once. I'll upload things bit by bit, as our own projects progress. Also I sincerely hope there will be other people, not only me, who'd like to share their own software. I'm asking for your assistance at gathering the full collection of software capable of hacking "Tales of" games. Decrypt TLFILE.TLDAT file of PC version (must have FILEHEADER.TOFHDB FILEHEADER.TOFHDA in order to decrypt). changes format of textures to *.DDS during unpacking). and these commands allow you to adjust text extraction in proper encoding "ansi/utf8". a) Patch - to pack files in TLFILE correctly you must place new files in folder called "TLFILE_FILES". During packing process the programm would automatically check every file located in "TLFILE_FILES" folder. files located in "TLFILE_FILES" folder. which is specified in command line or in executive BAT file. I highly advice you to make a backup copy of original TLFILE. c) While packing TLFILE programm would understand only original names of unpacked files. Don't change them. SDB and TXT files should be located in the same directory (folder). neither tags nor number of lines. Tales of Xillia 2, Tales of Zestiria & Tales of Berseria. It can be used for modding the textures. Compatible only with PS3 version. Swizzling and deswizzling textures of DDS formats. unpacking and packing containers of FPS4 format, mostly for SVO files. text dumper to extract/insert the script from the *.TO8CHTX files. command "cht_switch" during insert allows you to switch EN and JP lines. commands "ansi/utf8" allow you to adjust text extraction in proper encoding. Ttext dumper to extract/insert the script from the *.TO8SCEL and *.TSS files (scenario.dat & STRING_DIC.SO). command "untss2" extracts all resources from scenario.dat (file format: bin). command "tss2" inserts previously extracted resources back into scenario.dat (формат bin). text dumper to extract/insert the script from the *.cmp files (SCFOMBIN). This type of file contains text displayed during battles. There are 26 files that you need to edit. All of them are listed below (readme.txt). subdirectories, you must leave them as they are, otherwise files won't get updated after packing. c) While packing files programm would understand only original names of unpacked files. Don't change them. "cht, tss or scf", game files and TXT files should be located in the same directory (folder). e) While packing TO8CHTX, TO8SCEL or SCFOMBIN programm would understand only original structure of TXT files. That means you cannot change neither tags nor number of lines. Those files help to replace certain values and tags. You can always add more value replacements and adjust them as you'd like. "value1" will be replaced with "value2" in file you're patching after running. a) After activating command that "pack" files there will be new archive created (only for BIN). c) While packing BIN or MGLK programm would understand only original names of unpacked files. d) Pack - to pack files in BIN correctly you must place new files in folder called "NAME_FILES". During packing the programm would automatically check every file located in "NAME_FILES" folder. then you should name your folder "DAT_FILES". e) MGLK - to pack files in MGLK correctly you must place new files in folder called "NAME". During packing the programm would automatically check every file located in "NAME" folder. then you should name your folder '13559'. Last edited by Evil Finalist on Tue Jul 17, 2018 10:25 am, edited 6 times in total. Thank you very much. We are going to make a Vietnamese fan translation and your tool solved all the problem we had encountered before. Would you like to make Tales of Phantasia and Vesperia available? We've abandonded the idea of JP/EN -> Ru translation. 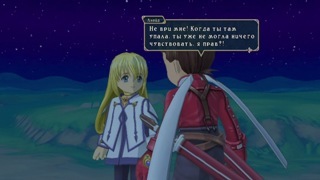 Thankfully, Bandai Namco have announced Tales of Vesperia: Definive Edition which would contain russian subtitles, thus we don't have to make efforts trying to transalte it. It was a huge experience. Despite everything, I was glad to have a chance to work on the resources of this game. And now I post all tools for hacking this jRPG. Soon, we will post the utility for this game. I saw ToV also have support for my language, which is Portuguese. Anyway, thank you very much for your willingness to release the tools. 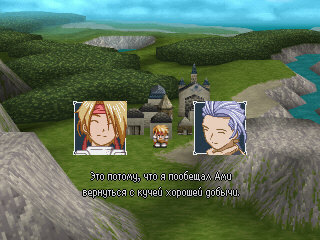 A few months ago we started the translation of Tales of Destiny Director's Cut into Russian language. At the moment we have not figured out all the file formats. But this is temporary. We are working on it. But I decided that it's worth sharing tools. The main reason is that after ABSOLUTE ZERO have abandoned their projects, a group of people contacted me. They want to make their own translation of this game from Japanese into English. I intend to support them with everything possible for analyzing resources. I hope, sooner or later, our projects will be released.